Bottle Imp is one of those DIY run labels that produce a wealth of understated music; and the UK’s In Violet are no exception. Packaged in a quality fantastic hardback book, In Violet have produced a mass of guitar rock with a touch of G!YBE over layered with rich vocals. Occasional electronics are interweaved within the mix; as are touches of Post-Industrial and Post-Rock with Goth twangs on the harmonics; that play surprisingly well with the nod to Seattle’s Grunge era. Overall this is a fairly eclectic mix; and whilst not all of this is my cup of tea, there is enough on here that plays with genres I love. There is bravery in just making music where whatever transpires is fine; and In Violet are exactly that. Not hearing the artist before, ‘Amber’ was quite the surprise and a good one at that. The undercurrent of commercialism plays well with an obscure counter-culture dirty construction. The whole Godspeed influence is something that saves this album for me; where I normally would have struggled with the other sounds on offer, should they have been played out on their own. For the collector, this is worth getting (if you can) physically, just because of the packaging alone. Sparse chamber reverberations gradually collide in the latest output from Roderick Price’s Amnion project. A desperate array of tension and yearning opens the show, with the title track swelling with a combination of high-end pads and rich, resonating lows. 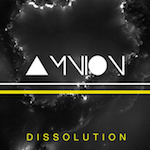 Seamlessly flowing into ‘Solution Pt1’ introducing low end clatters things gradually become more unnerving as the tone takes on a more Dark Ambient approach, that is counterbalanced by the lighter shades of ‘Solubility’; adding elements of tribal drum work as the song progresses. ‘Solution Pt2’ reacts as an interlude the follows on from its earlier partner in crime, darkly leading us into ‘Solvation’; a stark cold bracing number that utilises icy pads and the frost tinged monstrosity of noise akin to an avalanche of compacted snow, finally giving ground. Three remixes end this EP with focus firmly squared on the title track itself. Row Boat provide a spangling IDM/Ambient blissful interpretation of the number, where everything ascends into a climatic resolution; and careful attention has been placed on highlighting the original tracks’ key elements. In contrast, Dark Ambient aficionado’s Terra Sancta drag the song well into their territory, whilst Wychdoktor provide an altogether more Industrial slant. Both are effectively deconstructed pieces of work, but provide less scope and variation (due to the nature of their chosen paths) than that of Row Boat, who I feel genuinely took the bull by the horns and attempted to provide some variation. As a whole this is a neat extended player that has much in its arsenal to appease listeners of multiple genres; providing a brief insight as what may come on his next full-length release. Mark Wardale’s latest EP cascades with melody as harmonious vocals glide along a kaleidoscope of harp like chimes, infusions of piano keys and droning pads. “Ever After Memories’ opens the show, taking the listener to the shores of a large lake where water gradually erodes the pebbles into grains of time; and aside from some misplaced beats (which the track could have easily done without) is an intriguing start to the release. ‘Orkan’ is an oddity of contrasting styles that work brilliantly. The vocals are subtle and non-descript in the message they’re conveying, but gloriously fold into a crashing array of beats and orchestration; that is beautifully layered into an evocative display of captivating bliss. The piano work of ‘Kärleksbrev’ is a brief respite, leaving the listener staring through a pane of glass as raindrops gently patter against the surface; allowing for a moment of contemplation as it melds into the synths of the closing number, ‘Inertia’. Picking up the baton from where ‘Orkan’ left off, the rhythm sections are once again allowed to surface through the mix; and a near perfect execution of pace allows the track to take the listener on a journey where they’re frequently held at a distance and gradually tethered in. 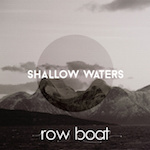 Overall, ‘Shallow Waters’ is one of those releases that leaves the listener hungry for more, just as an EP should. Wardale is one of those musicians that has his finger on the pulse when it comes to orchestral composition; and I for one am chomping at the bit to hear future endeavours.